At the end of each year, I put together a list of the best books I read from January to December. This week’s Top Ten Tuesday topic has me doing the same thing, but at the halfway point. I am listing my favorite reads of the year, irrespective of their actual publication date. The only requirement is that I read (and reviewed!) them in 2013. Oh, and I couldn’t keep it to *just* ten, so there’s one honorable mention. So many choices! 1. Written in Red by Anne Bishop – I’ve read this book twice already. There’s just something about it…the fantastic world-building, the atmosphere of danger, premonitions, engaging characters, an intriguing paranormal milieu, and tension that may (or may not) lead to something in the next book. I want to read it again, just writing this paragraph. Book crack! 2. Code Name Verity by Elizabeth Wein – All of the feels EVAR! I wept (messily) on my couch for a good 45 minutes, and I then tried to tell everyone I know how wonderful this book was. 3. Seraphina by Rachel Hartman – Another book that featured magnificent world-building and a unique political situation and relationships. 4. Relish by Lucy Knisley – Food, a coming-of-age memoir, lovely drawings, and a quirky-funny sensibility made this little volume an absolute pleasure to read. 5. Under My Hat edited by Jonathan Strahan – This collection of stories focused on everything witchy, and magical, and the result was a truly enchanting anthology. 6. Odd and the Frost Giants by Neil Gaiman – A brief middle grade book with heart, mythology, and story to spare. 7. A Tangle of Knots by Lisa Graff – Graff mingles cakes, Talents, and several narrators to create a gentle fantasy narrative that weaves together generations, stories and life callings. 8. The Silvered by Tanya Huff – This one is an epic fantasy with a steampunk-ish edge, a journey into enemy territory, and a heroine growing into her power. Also contains: werewolves, family expectations, and an evil megalomaniac. 9. Shards of Honor by Lois McMaster Bujold – Sci-fi on a grand stage and a no-win situation for an unlikely couple are the hallmarks of this chronological first book in the Vorkosigan saga. 10. Etiquette & Espionage by Gail Carriger – Carriger brings her trademark banter, adventure and unique fantastical steampunk world to YA readers. Heroine Sophronia is a character, and her first year at finishing school is FUN. 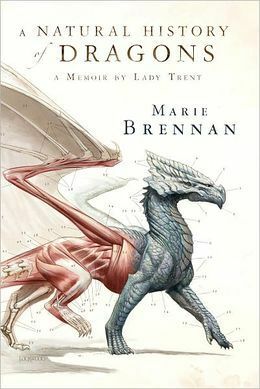 Honorable Mention: A Natural History of Dragons: A Memoir by Lady Trent by Marie Brennan – I couldn’t help but hear Maggie Smith (the Dowager Countess/Professor McGonagall) narrating this book in my head – it’s a memoir of dragon-related adventures and mishaps, set in an alternate 19th century. Singular and fantastic. What books would make your ‘best books from the first half of 2013’ list? You've picked some wonderful books for your list!! I really want to read Relish - I've heard nothing but fantastic things about it. I've been meaning to read Seraphina, I'm glad you enjoyed it! Happy reading. I need to read A Tangle of Knots and Odd and the Frost Giants - they both sound so amazing, and I love their covers. Just finished Code Name Verity last week and OMGSH the feels. Seraphina was an excellent book! I thought Hartman's twist on dragons was really cool and original. I haven't read Gail Carriger's YA series, though I did enjoy her Parasol Protectorate books. Haha. I had an extra book, too. But that's really a good thing - that we've read so many amazing books this year. I actually had someone tell me I need to read Written in Red the other day. I had never heard of it until then. I'll have to check it out. Code Name Verity was so good and so heartbreaking. It's definitely a book I recommend all the time. Great list. I want to re-read CNV and Seraphina now. And of course I now have a lot to add to my to-read list! Thanks for stopping by! I have an e-galley of Rose Under Fire that I really need to get started on. I am anxious for the next book after Seraphina. I am learning that I do in fact like dragons. Need to add A Natural History of Dragons to my TBR list! There are some really good books here - Code Name Verity is one of my favoites, followed by Seraphina. Thamks for sharing these with us. I can always rely on you to have a nice varied list. I was getting a little cross-eyed seeing long lists of para YA, etc. I love a lot of these books on your list like Relish, Code Name Verity, Odd and the Frost Giants and A Tangle of Knots. Others I have been meaning to read soon. Great list and nice variety! I'm happy to see Odd there-- that's one of my go to books for recommendations! Nice list. Frost giants is a new title to me. I will have to add it to my TBR list. :) Happy Reading! I adore Odd and the Frost Giants and I have the Natural History of Dragons book, which I won off of you, but I have't read it yet. I need to hop to it.